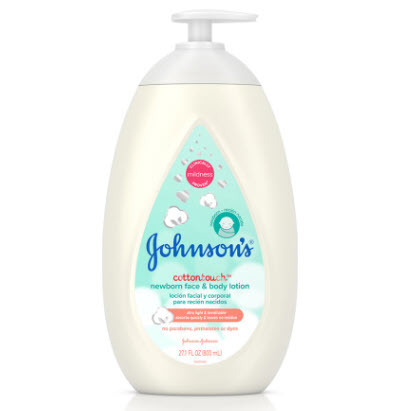 JOHNSON’S® scientists recently created a line of baby products that harness the power of cotton in a new way. The CottonTouch™ Newborn Wash & Shampoo and CottonTouch™ Newborn Face & Body Lotion contain a very finely milled cotton powder created from cotton fibers and enable a gentle, ultra-light touch and that encourages more touch, interaction, and bonding with your baby. So why cotton? Cotton fiber is popular around the world, a renewable resource that is beloved for being soft, absorbent, and breathable. But cotton isn’t the only thing that’s special about these products that enhance your touch. In addition to being easy-rinsing, fast-absorbing, hypoallergenic, and residue-free, the CottonTouch™ products are also formulated free of parabens, phthalates, dyes, sulfates, and known fragrance allergens. 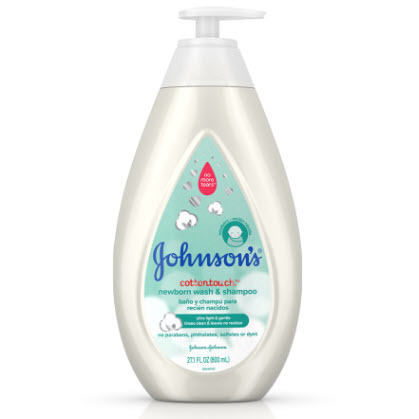 They’re clinically proven mild and safe for delicate newborn skin. And with the added power of natural cotton, what’s not to love?